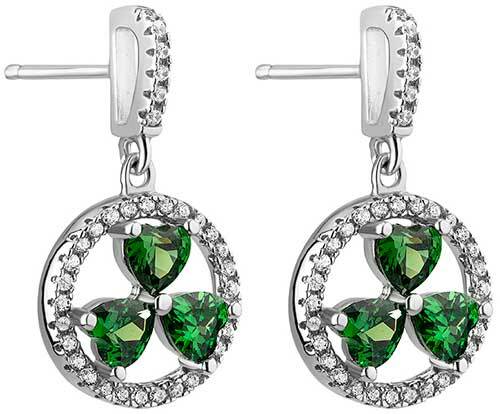 These sterling silver shamrock earrings features green CZ stone leaves that are surrounded with a CZ stone studded circle. 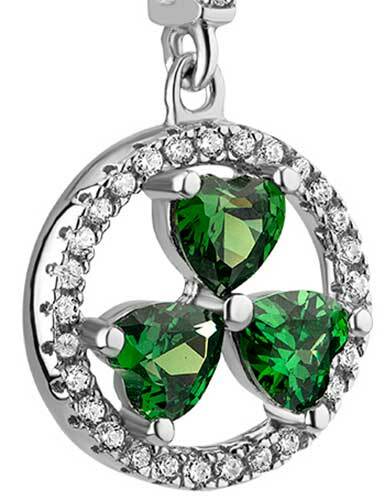 The shamrock earrings are further enhanced with CZ studded findings along with a dimensional design; they measures 1/2” wide x 1“ tall, to the top of the finding. 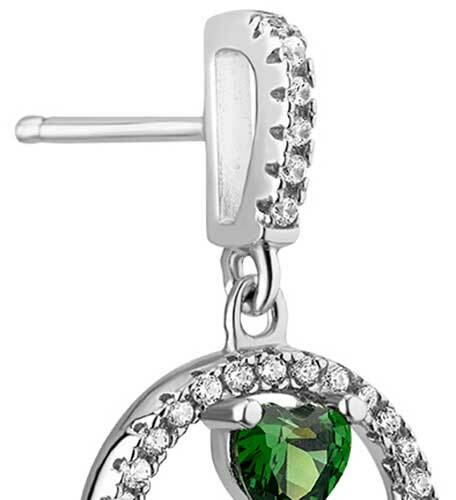 The shamrock dangle earrings are on posts that are complete with push on butterfly backs. The Irish earrings are made by Solvar Jewelry in Dublin, Ireland and is gift boxed with a shamrock history card, complements of The Irish Gift House.